This book investigates several controversial issues regarding the role of the Soviet Union and the performance of the Soviet government and Red Army, to which the author provides some provocative answers. The primary question explored by the author, however, regards the effectiveness of both the Red Army and of the Soviet military economy. Dr. Sokolov argues that the chief defect of the Soviet military economy was the disproportionate emphasis on the production of tanks and aircraft at the expense of transportation means and the means of command and control. This leads the author to look at the role of Lend-Lease during the war. 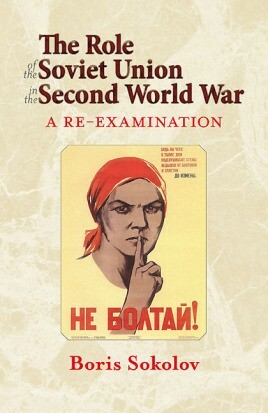 Through the delivery of radio sets, trucks, jeeps, locomotives, fuel, explosives and so on, the author concludes that Lend-Lease was critical to the Red Army, and that the Soviet Union would not have been able to wage a long war against Germany without the Lend-Lease supplies - a conclusion that defies decades of Soviet claims to the contrary. Finally, the author looks at the still very controversial and hot topic of Red Army losses in the war, which was taboo for decades, arguing that this is an effective measure of the Red Army's military performance. He and other scholars have estimated that the Red Army's losses were on the scale of 27 million, three times larger than the official estimates, and approximately 10 times greater than the German losses on the Eastern Front. He argues that such horrendous casualties and such an unfavorable ratio for the Red Army were the result of the relatively low value placed on human life in both the Russian Empire and the Soviet Union, and the much more destructive nature of the Soviet totalitarian regime as compared with the Third Reich, which cowed the Soviet generals and officers into total subservience. Due to the elimination of all political opposition and the total control over people's lives, soldiers and civilians could not protest against the crude tactics that resulted in such a very high rate of losses. Dr. Boris Sokolov is a prolific author and a member of the Russian branch of PEN International, which celebrates literature and promotes freedom of expression. In 2008, Dr. Sokolov was forced to resign as Professor of Social Anthropology from his post at the Russian State Social University in Moscow at the demand of President Medvedev's administration after publishing an article about the 2008 Russian-Georgian War. The author of 69 books (as of 2012), his work has focused on the history of the Second World War and has also written biographies of such prominent military and political leaders as Bulgakov, Stalin, Molotov, Beria, Tukhachevsky, Rokossovsky and Zhukov. In addition, he has written numerous articles on history, philology, political science and economics. A prominent specialist in the problems of military losses, military economy and strategy, he has given lectures in Russia, Estonia, Latvia and Denmark, and his books and articles have been translated into numerous languages. He currently resides in Moscow and is working on a biography of Marshal Rodion Malinovsky. Stuart Britton is a freelance translator and editor residing in Cedar Rapids, Iowa. He has been responsible for making a growing number of Russian titles available to readers of the English language, consisting primarily of memoirs by Red Army veterans and recent historical research concerning the Eastern Front of the Second World War and Soviet air operations in the Korean War. 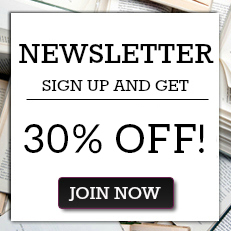 Notable recent titles include Valeriy Zamulin's award-winning 'Demolishing the Myth: The Tank Battle at Prokhorovka, Kursk, July 1943: An Operational Narrative ' (Helion, 2011), Boris Gorbachevsky's 'Through the Maelstrom: A Red Army Soldier's War on the Eastern Front 1942-45' (University Press of Kansas, 2008) and Yuri Sutiagin's and Igor Seidov's 'MiG Menace Over Korea: The Story of Soviet Fighter Ace Nikolai Sutiagin' (Pen & Sword Aviation, 2009). Future books will include Svetlana Gerasimova's analysis of the prolonged and savage fighting against Army Group Center in 1942-43 to liberate the city of Rzhev, and more of Igor Seidov's studies of the Soviet side of the air war in Korea, 1951-1953. Dr. Boris Sokolov is a prolific author and a member of the Russian branch of PEN International, which celebrates literature and promotes freedom of expression. In 2008, Dr. Sokolov was forced to resign as Professor of Social Anthropology from his post at the Russian State Social University in Moscow at the demand of President Medvedev's administration after publishing an article about the 2008 Russian-Georgian War. The author of 69 books (as of 2012), his work has focused on the history of the Second World War and has also written biographies of such prominent military and political leaders as Bulgakov, Stalin, Molotov, Beria, Tukhachevsky, Rokossovsky and Zhukov. In addition, he has written numerous articles on history, philology, political science and economics. A prominent specialist in the problems of military losses, military economy and strategy, he has given lectures in Russia, Estonia, Latvia and Denmark, and his books and articles have been translated into numerous languages. He currently resides in Moscow and is working on a biography of Marshal Rodion Malinovsky. Stuart Britton is a freelance translator and editor residing in Cedar Rapids, Iowa. He has been responsible for making a growing number of Russian titles available to readers of the English language, consisting primarily of memoirs by Red Army veterans and recent historical research concerning the Eastern Front of the Second World War and Soviet air operations in the Korean War. Notable recent titles include Valeriy Zamulin's award-winning 'Demolishing the Myth: The Tank Battle at Prokhorovka, Kursk, July 1943: An Operational Narrative ' (Helion, 2011), Boris Gorbachevsky's 'Through the Maelstrom: A Red Army Soldier's War on the Eastern Front 1942-45' (University Press of Kansas, 2008) and Yuri Sutiagin's and Igor Seidov's 'MiG Menace Over Korea: The Story of Soviet Fighter Ace Nikolai Sutiagin' (Pen & Sword Aviation, 2009). Future books will include Svetlana Gerasimova's analysis of the prolonged and savage fighting against Army Group Center in 1942-43 to liberate the city of Rzhev, and more of Igor Seidov's studies of the Soviet side of the air war in Korea, 1951-1953. ...a compilation of several articles, published at different times, devoted to the position and role of the Soviet Union in WWII and evaluating the effectiveness of both the Red Army and the Soviet military economy. The book demonstrates the importance of the Lend-Lease regulations, which enabled delivery of essential goods to the Red Army, and also evaluates the Red Army's military performance, concluding that the Red Army's losses were far greater than official reports, and much more than German losses on the Eastern Front.